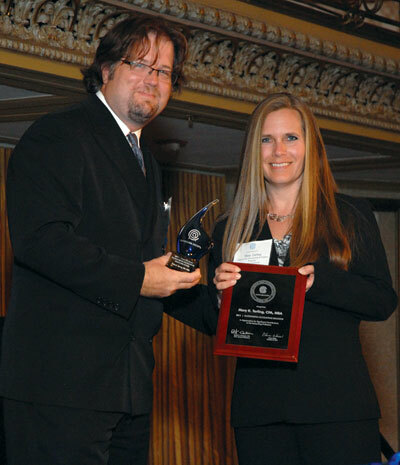 Mary Tarling received the Illinois CPA Society's 2011 Outstanding Educator Award this fall. Mary Tarling directs the Servant Leadership Initiative at Aurora University and teaches courses on accounting, servant leadership and social entrepreneurship. In 2011, she received the Illinois CPA Society’s Outstanding Educator Award for her commitment to the profession. We asked her how AU students benefit from studying the principle of servant leadership. How would you describe servant leadership? Servant leadership requires leading in a way that leaves everyone and everything better than you found it: employees, investors, the environment, customers and the leaders themselves. It dictates a balance between serving the needs of the people in the organization and the needs of financial stakeholders. How will AU undergraduates benefit from studying servant leadership? integrates coursework from the student’s major and liberal arts courses, and requires a service learning component as well. What role does international travel play in the servant leadership program? Another alternative for undergraduates is the course Social Entrepreneurship: Servant Leadership in Action, which prepares students for the culminating service mission trip during May Term. The travel experience provides an incomparable lab in which to practice and understand servant leadership. 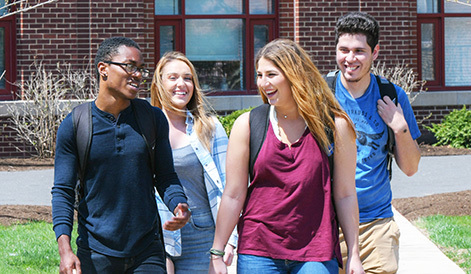 It drops students quickly into an environment where human service is lifted above the boundaries of language and cultural norms. a good teacher figures it out. Who has a better job than that?